Without a doubt weather you love him or hate him Clint Eastwood is definitely one of the most iconic figures in movie cinema. Eastwood's ability to keep directing movies at near 90 years of age is just astonishing to me. While he's definitely slowed down his acting in the last decade (I figured Gran Torino would have been his sawn song) he actually managed to put out a baseball movie and now The Mule the true story of a 90 year old man who became the Mexican drug cartals best carrier. While critics have been rather skeptical towards the movie anyone who knows Eastwood can relate to the movie itself, the main story here is that Eastwood's character has never really been there for his family, which in turn has turned his ex wife and daughter against him. When one thinks it makes you wonder if this isn't a real play on Eastwood's real life. After all the man fathered at least 8 known children from 6 different women. I won't ramble on, but, there's enough comedic moments here to level out the dramatic moments. It's a role I believe Eastwood turned into a play on his actual life in some instances and if this is his swan song in acting then what a way to go. 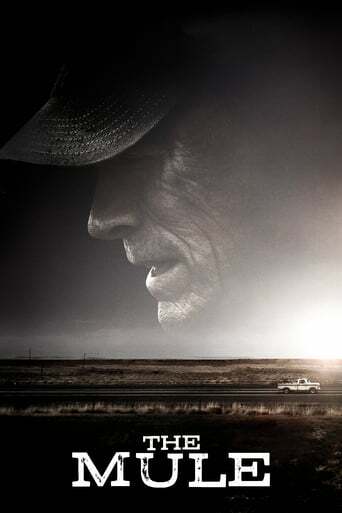 The Mule is the definition of an Eastwood directed film.Dont expect action packed. This is raw and real crime drama. There are some beautiful moments and always a strong moral. Definitely a must see! Downloading Seeding The Mule (2018) [BluRay] [1080p] [YTS.AM] from to 0 peers.